For as long as she can remember, Kelly Doust has been passionate about clothes. She is a complete frockaholic – addicted to clothes and trends and fashion – and someone that plans her life by her wardrobe and via glossy magazines. Doust’s memoir isn’t just a chronological order of events in her life – it’s a reflection on the clothes that made the moments, the clothes that made the memories. All the major moments of her life; from leaving school to being published in Vogue, from travelling the world over to getting married, from career achievements to having her baby daughter, are all marked by an outfit. It’s an exploration of what makes us fall in love with clothes, what makes us choose certain outfits and why moments can be defined by clothes just as much as they can be by smell or touch or feeling. 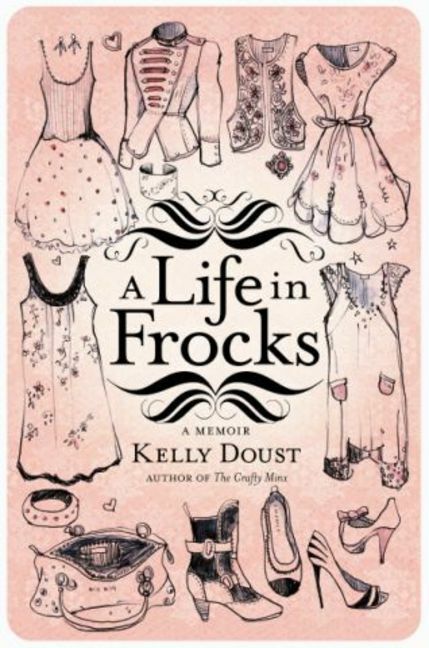 Beautifully illustrated by Zoe Sadokierski, A Life in Frocks is full of pearls, or diamonds, of wisdom. It’s an engaging read of a person’s life I had no idea existed – and that’s partly where its charm lies. It’s the story of a young woman’s life – a story that could so easily belong to so many others – and it’s honest, fabulous…and not cookie cutter perfect. Doust delicately balances advice with emotion, reflection with fantasy, and reality with whimsy. And it works. It absolutely works. new visitors of blogging, that genuinely how to do blogging and site-building.